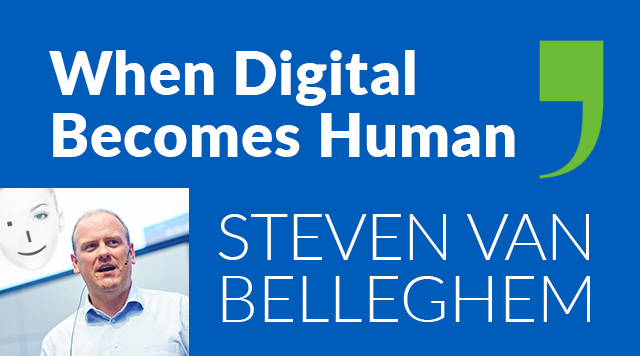 Join Steven Van Belleghem, author and entrepreneur, as he takes you on a provocative journey to the digital future and discusses ways to transform your digital and human strategy. Digital transformation alone is not enough, organisations need to be looking at human transformation as they develop their customer and employee engagement strategy. In a world of self-service, customer automation and the integration of online and offline customer service, ensuring that you get the balance right in your digital and a human customer service is the key to survival. Find out more about the importance of keeping and, more importantly improving, the human touch in your digital strategy in our on-demand webinar with Steven Van Belleghem.